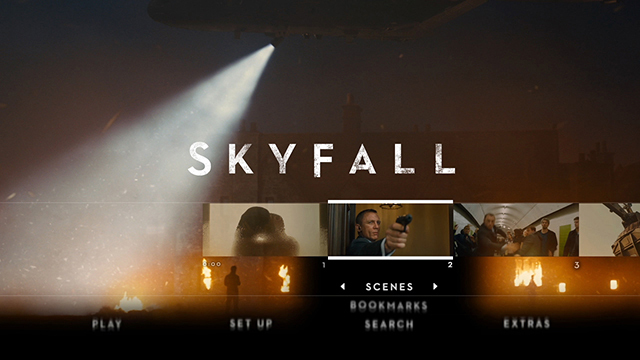 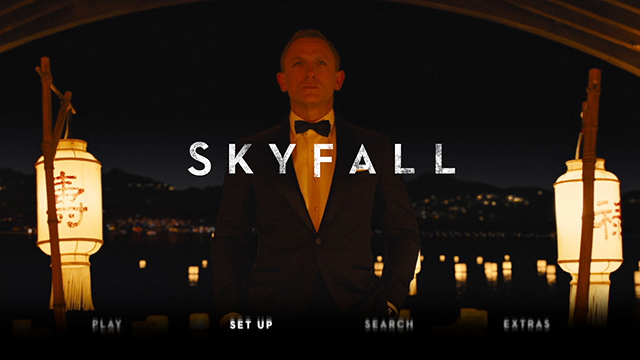 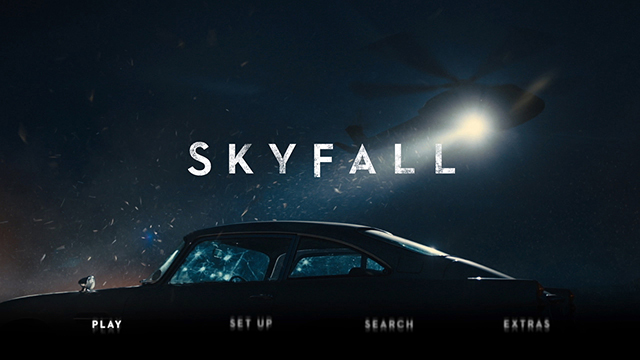 Interface design and moving image work for the Blu-ray and DVD titles of Skyfall. 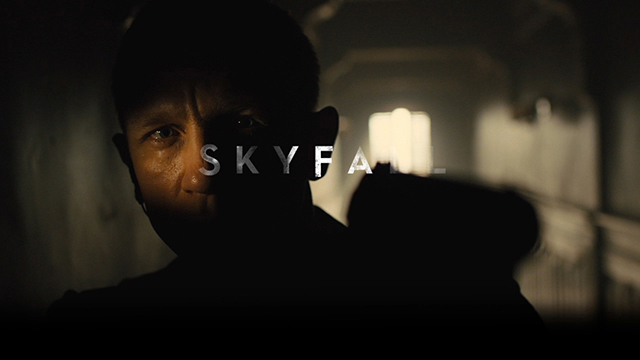 Skyfall is the latest James Bond 007 film, marking 50 years of Bond. 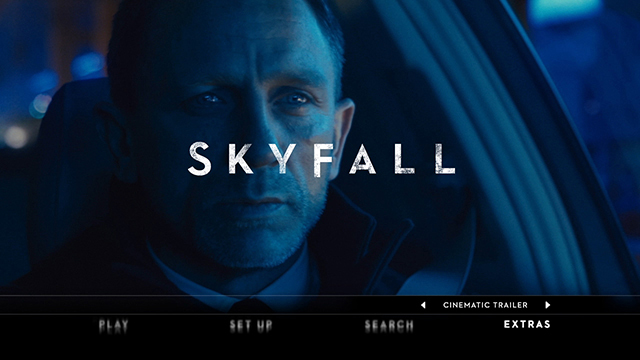 We worked closely with Rattling Stick, who created the film's titles, as well as Deluxe to identify the opportunities the BD-J authoring system offered for innovation. 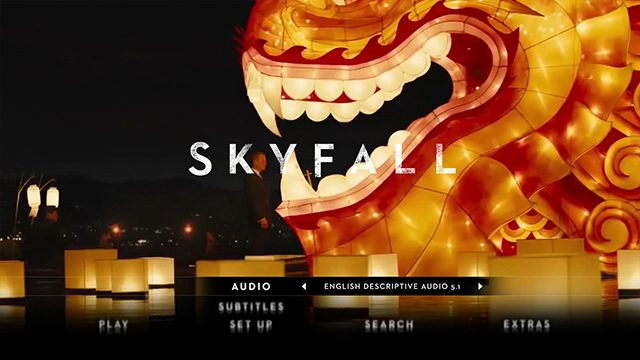 We delivered a series of approaches that used sound and animation to create a memorable and seamless user experience. 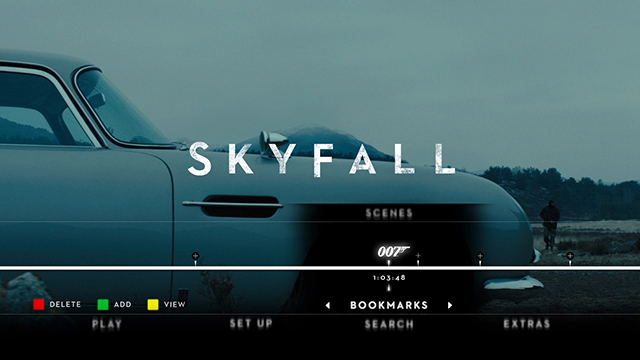 The final sign-off was given to us by Sam Mendes, the director, as well as Barbara Broccoli, the film's producer.